The king stay the king. In 1973, the Vietnam War is winding down, and the United States is beginning to pull all of its assets out of it. While this is going on, a small government organization known as Monarch makes a pitch to its higher ups about exploring an uncharted territory known as Skull Island. Monarch’s leaders William Randa (John Goodman) and Houston Brooks (Corey Hawkins) have their reasons for wanting to go, but all they’ll say is that this is for geological purposes. Going to a place no one has traversed before means Monarch is going to need an expedition squad. Led by former British military operative James Conrad (Tom Hiddleston), photojournalist Mason Weaver (Brie Larson), and Army Lieutenant Colonel Preston Packard (Samuel L. Jackson) and his unit, Monarch is able to make their way unto the island and conduct research. Immediately, King Kong himself appears, defending his home from these intruders. Little do these people know, Kong is actually protecting them, for what lies on the island is just as dangerous—if not more so—than Kong is. Imitation is the sincerest form of flattery. Or in Hollywood’s case, hoping to make money. Having a shared universe is all the rage now, starting with Marvel’s first stab at it almost a decade ago and now Warner Bros’ attempts with the DC Extended Universe and a “MonsterVerse.” Why a universe needs to exist for what only looks like two main characters in King Kong and Godzilla, I’ll never know, but we have it. Kong: Skull Island is here, and…it’s a passable, relatively entertaining, blockbuster. Even though the two share a genre and now a universe, in many ways, Skull Island is the inverse of the Godzilla we saw in 2014. That monster movie was so methodical in its approach, it almost wasn’t a monster movie, and it chose to hide its star well into the runtime, which divided some people. For those looking for mayhem immediately, director Jordan Vogt-Roberts delivers on that front quickly. Kong smashes. Kong pounds his chest. Kong causes massive collateral damage. Simply put, Kong does what one expects him to do, and he does it well, he’s rendered well, and it looks well. The fictional island serves as a good playground to showcase Kong, despite its lack of verticality. Not all of it looks stunning; some of the monsters Kong does battle with look a tad cheap, and a massive set piece hazed in green fog gets a little wonky, but as a whole, Kong: Skull Island features solid cinematography. The script, penned by Nightcrawler writer Dan Gilroy, Max Borenstein, and Derek Connolly, is another story. No, it’s not deplorable, but it’s hard to tell if they wanted the story to be more than it is. Which isn’t much. On one side of the prism, Kong: Skull Island aims low, simply providing a vehicle in which a 30-something foot tall behemoth can wreck things, people, and other large creatures, with some mostly poor attempts at humor thrown in for good measure. There’s nothing wrong with that, but there are moments where it feels like this movie is aspiring to be in the vein of Apocalypse Now, Platoon, etc., and it doesn’t possess those movies’ narrative/character impact. Many of the characters that land on Skull Island are rather bland, which is surprising for a cast that features such big names in Hiddleston, Goodman, and Larson, along with up and comer Corey Hawkins. Not to mention other fairly notable names such as John Ortiz, Toby Kebbel, and Shea Whigham who end up being fodder or take space. 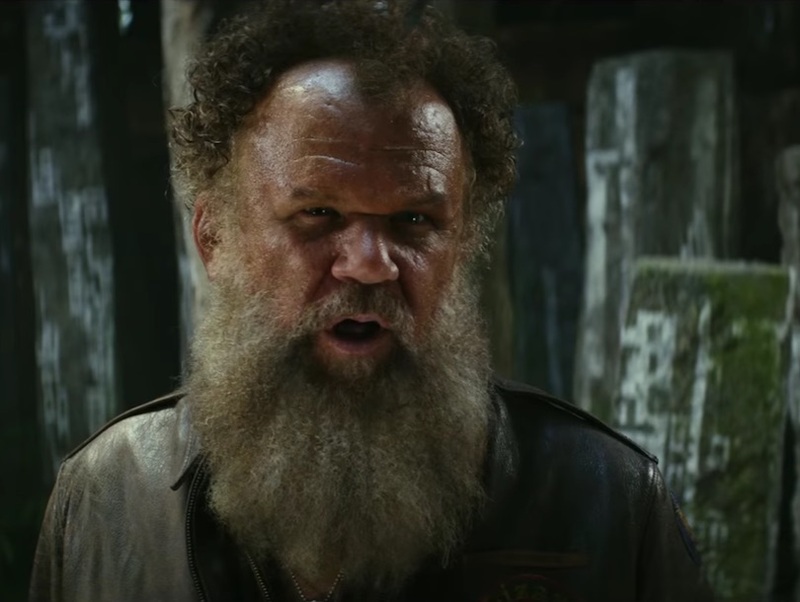 Three characters that stand out a little are Samuel L. Jackson (refreshingly not in complete SLJ mode until arguably the end), John C. Reilly (great backstory), and Jason Mitchell, mostly due to his charisma. Unfortunately, the glut of characters featured gives Skull Island a feeling of overstuffedness. Just five or six less could have given more attention to the ones that mattered. 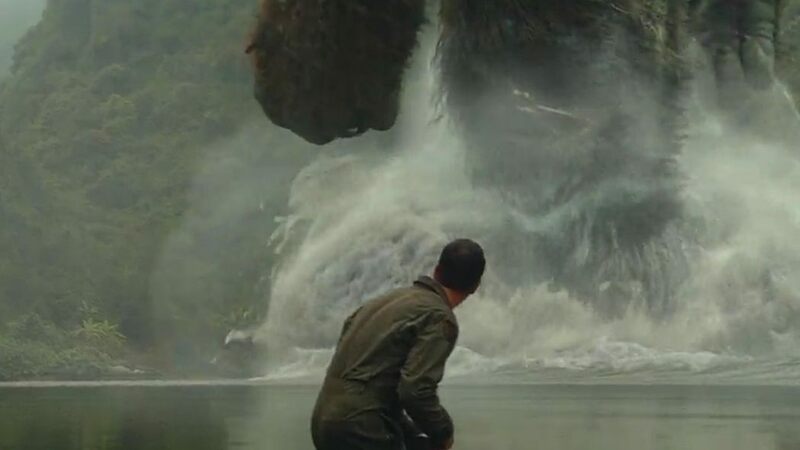 As it stands though, Kong: Skull Island does its part in laying a nice base foundation for The Eighth Wonder of the World, placing him on a collision course with The King of the Monsters. I feel like…you see one Kong movie you seen them all. Idk I might give this a try but based on this review and a few others there doesn’t seem to be much reason to rush into it.^^ Awesome review dude! Appreciate it! This is fun, sort of disposable, nothing special. Liked it enough, just barely to recommend a watch in theaters but not missing anything by not rushing. But of course! I was expecting something grand, but afterwards I was just like…OK. Yes the people are bland. This was not about character development. However the action was first rate. I mean truly spectacular. I got what I was promised, an enjoyable popcorn film. hahahahahahaha 🙂 sorry can’t help a little laugh at this..
I’ll get on it! Yeah, still had enough fun, positions things well enough for Kong vs Godzilla. One of those ‘leave your brain at the door’ movies but heck, I liked it! True that, overall, it entertained! 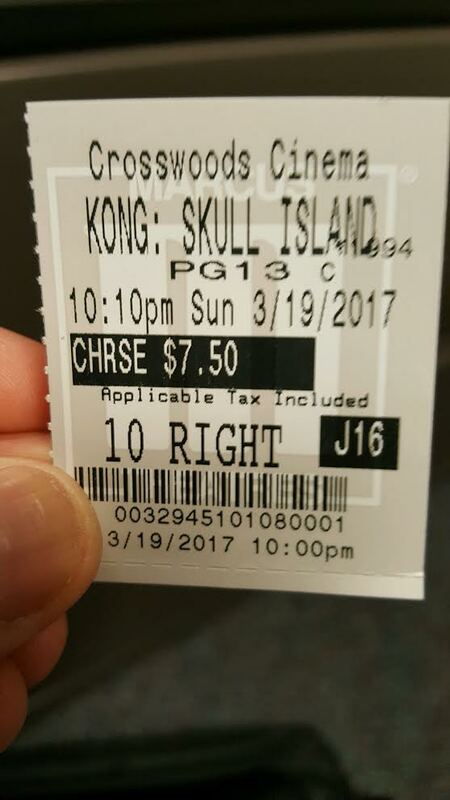 Was nice to see Kong super early. Don’t feel bad about it, nice sense of spectacle though! But you’ll get your fill other places really shortly I imagine.